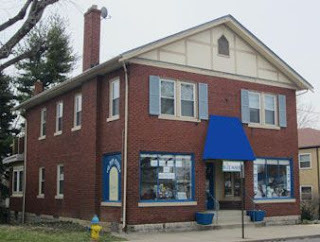 Blue Marble Books is part of the FTM Family. How much fun can fall be? We’re going to try to answer that question with lots of fun fall events for kids of all ages! Check out the events below for what we’ve got going on at Blue Marble. Halloween Sidewalk Chalk Drawing Contest & Book Sale - Saturday, Oct. 29, 2016, 10:30 a.m. to 12:00 p.m. - Come help us celebrate Halloween by using the blank sidewalk canvas in front of our store to draw your favorite spooky characters or scenes! We'll have treats and give away prizes for participants. We'll also have a sidewalk sale on Halloween books. We will provide some chalk, but we encourage you to bring some, too. Anyone is welcome to try their hand at sidewalk art, but parents and/or guardians must be present with kids while drawing. Teen Fiction Writing Contest - Submissions accepted throughout November - We know there’s a lot of great writing talent out there, and we want to read your fictional stories! As such, we’re having a teen fiction writing contest to give teenagers a chance to grow and share their talent. There is no cost to participate, and we will accept submissions between 11/01/2016 and 11/30/2016. 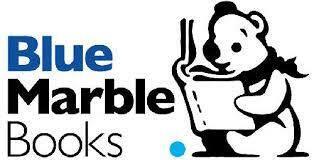 Once all the submissions have been judged, we will host an award ceremony at Blue Marble Books. Submission forms available at the store or by clicking here. Poetry Slam for Middle & High School Students - Saturday, Nov. 12, 2016, 12:00 p.m. to 1:00 p.m. - Do you love listening to poetry? Do you love writing poetry? If so, then come share what you've written with us. We invite middle and high school students to Blue Marble’s Poetry Slam to read, write, snap, clap, and enjoy some non-competition, spoken-word poetry. We'll also have a sale on poetry books. Snacks and drinks will be available. Small Business Saturday Book Signing – Saturday, November 26, 2016 - Holiday season is right around the corner and that means it'll soon be time for Small Business Saturday! This year marks the seventh year for the American Express Shop Local initiative, where people are encouraged to shop the small businesses in their local communities. This year, we’ll be hosting local (Maysville, Kentucky) authors Sean McHugh and Katie Parker for a book signing of A Broomsticks Christmas [Diversion Press, Inc., $9.95 pb].